Happy Easter! I hope everyone’s day was spent with family and friends. 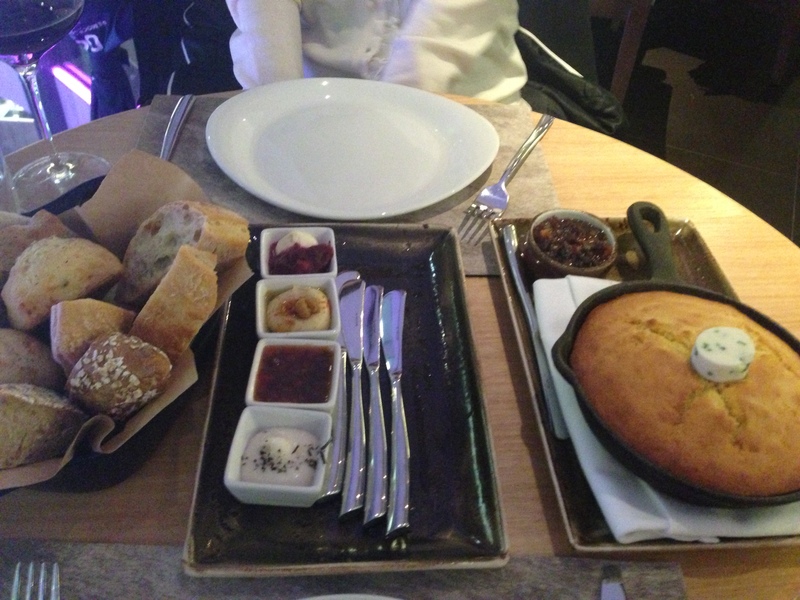 I had a lovely lunch with my grandmother and her friend. 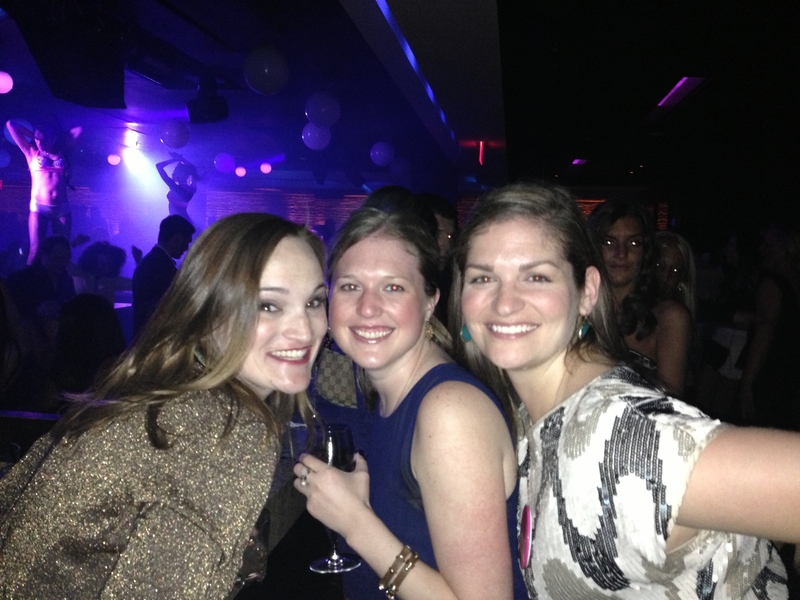 To say Atlantic City was fun would be an understatement. I have the most amazing friends and am so glad that we were all able to get out of town for one night and celebrate together. We started the evening out with some wine and snacks in the hotel. 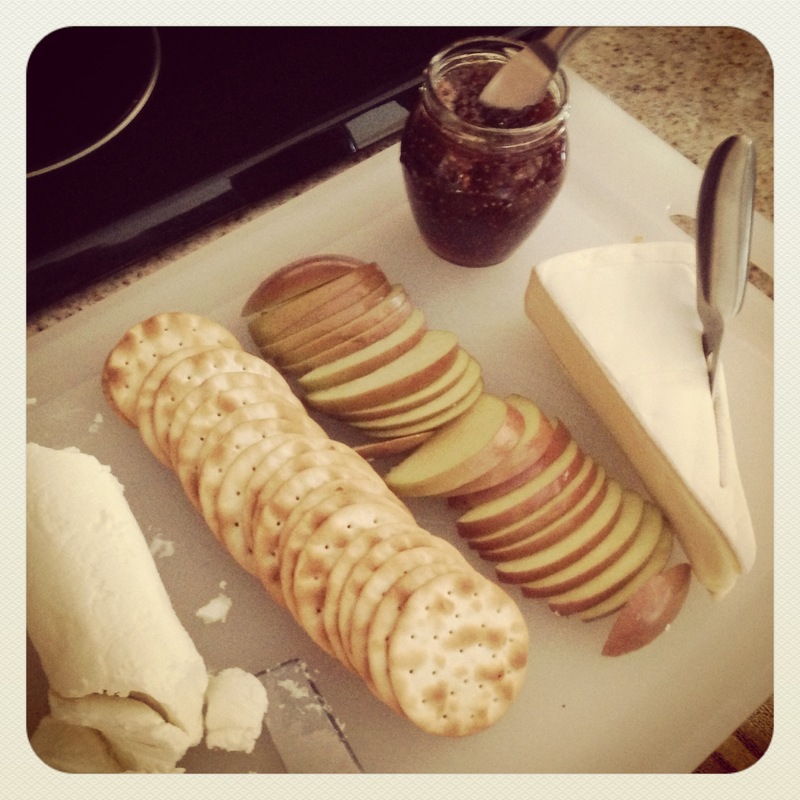 My friend Jody did the best job picking out goodies for us to enjoy – brie and goat cheese, sliced apples, fig spread! It was the perfect way to start the evening. When we arrived into our adjoining rooms (best thing ever!) 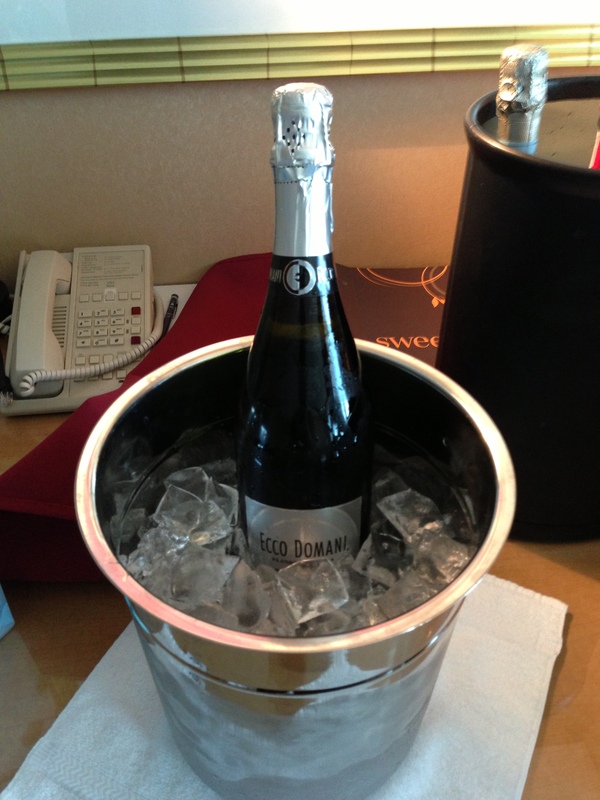 I had a surprise from my friend Amanda – treats and champagne!!! 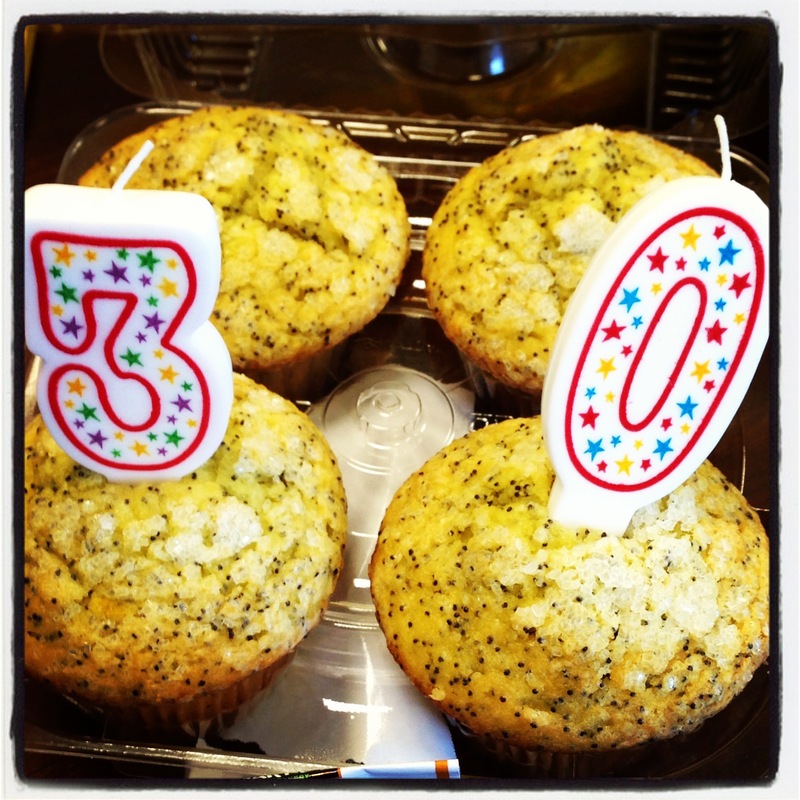 She also surprised me with cupcakes at work and really went above and beyond to make my 30th so special. After we primped we headed out for dinner at Buddakan. I had been to the one in New York City years ago and remembered how good it was and was happy to go back. 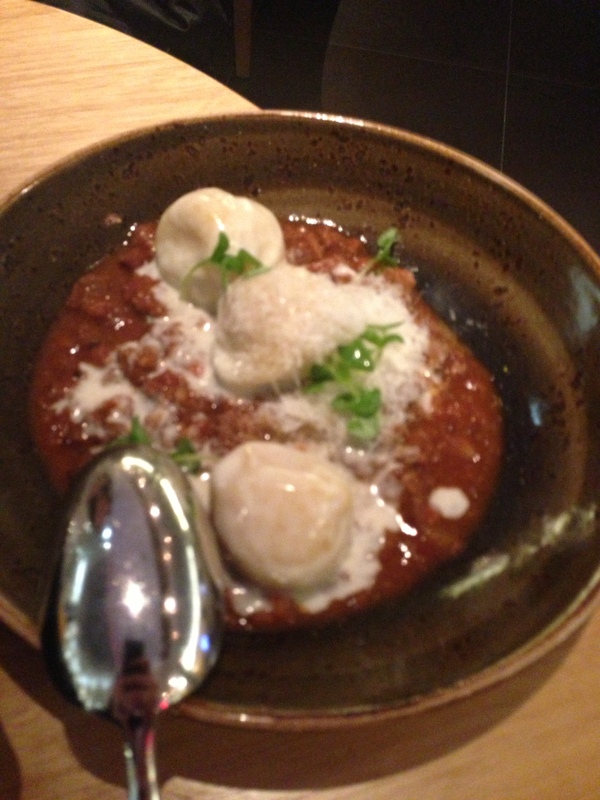 We did their $60/person pre-fixe menu and it was a ton of food and absolutely delicious. 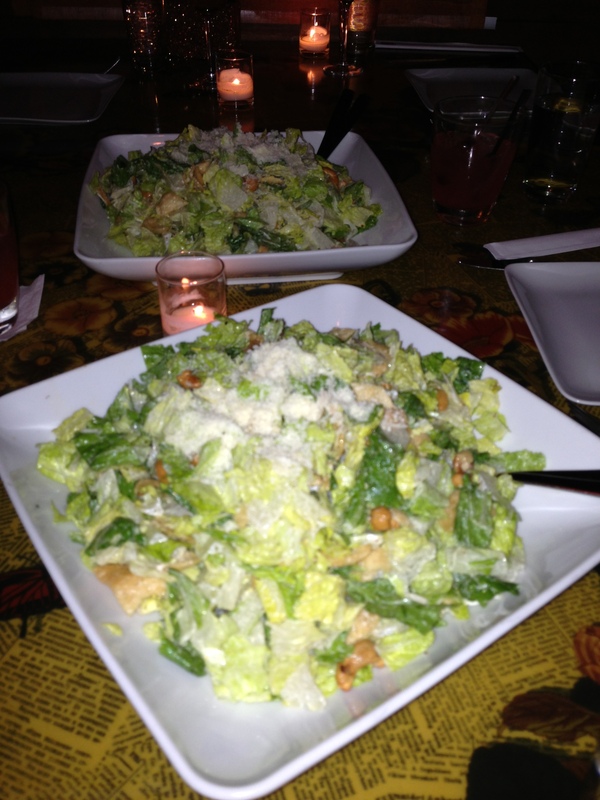 I only took a picture of the giant Cesar salad we had but the rest of the food was so good and we were stuffed. 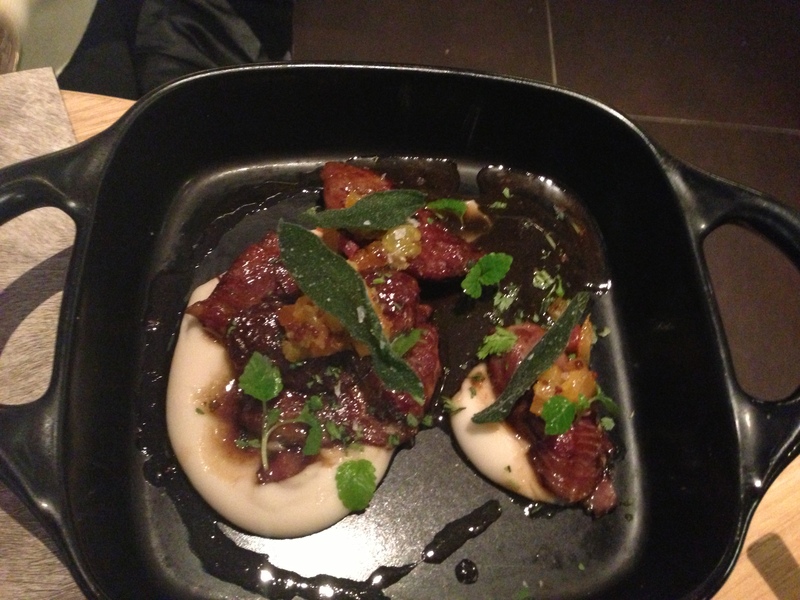 My favorite dish was the filet combined with the wasabi mashed potatoes. Yum! 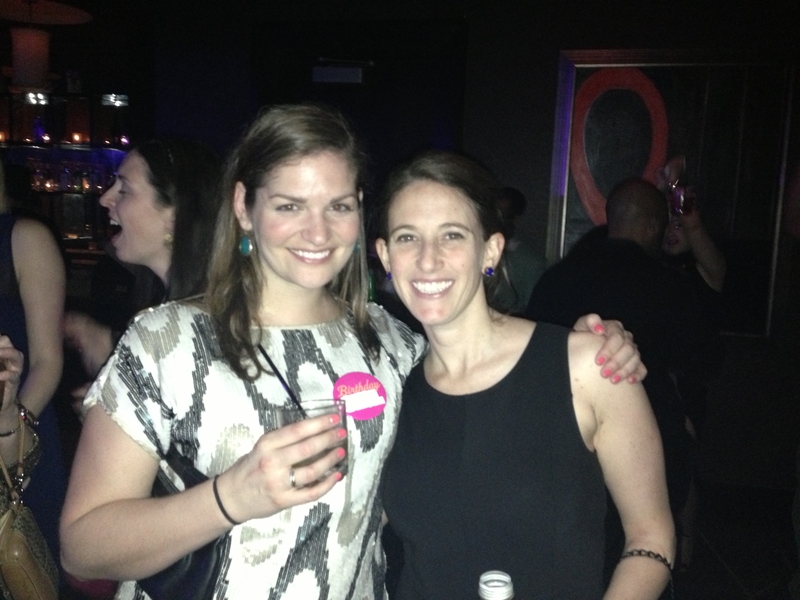 After dinner we went to The Borgata for some gambling and dancing at mur.mur. It was a very Jersey experience so naturally I loved it! While the club was heavy on the smoke machine, the DJ did a great job of keeping everyone dancing and I really enjoyed people watching…a lot. After getting our fill of the casino we went back to our hotel to call it a night. It was really a great way to celebrate my birthday and I am so grateful my friends were able to come out and celebrate with me. They were all insanely generous and I am so lucky to have all of them in my life. Before I post some party pictures, I also want to post some pictures from all the wonderful gifts I received on my actual birthday because they were seriously so generous. 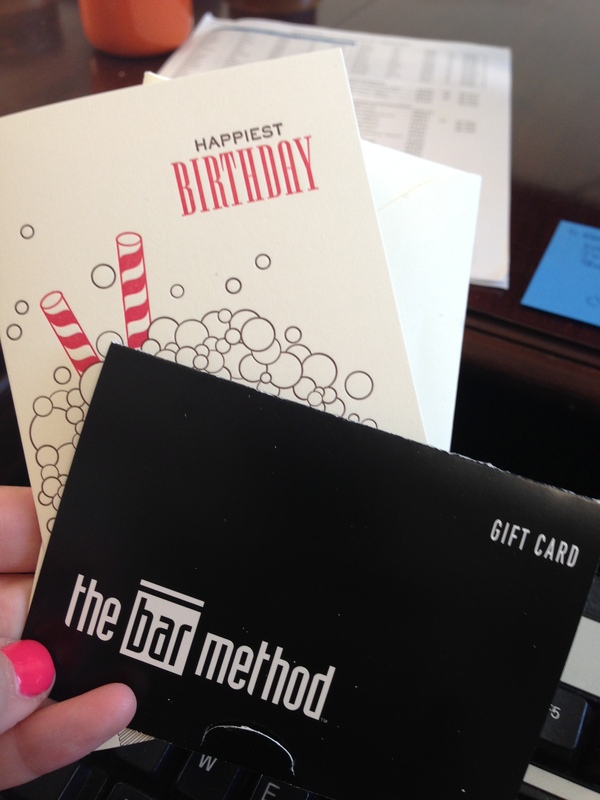 THANK YOU ADDY & JUSTIN! 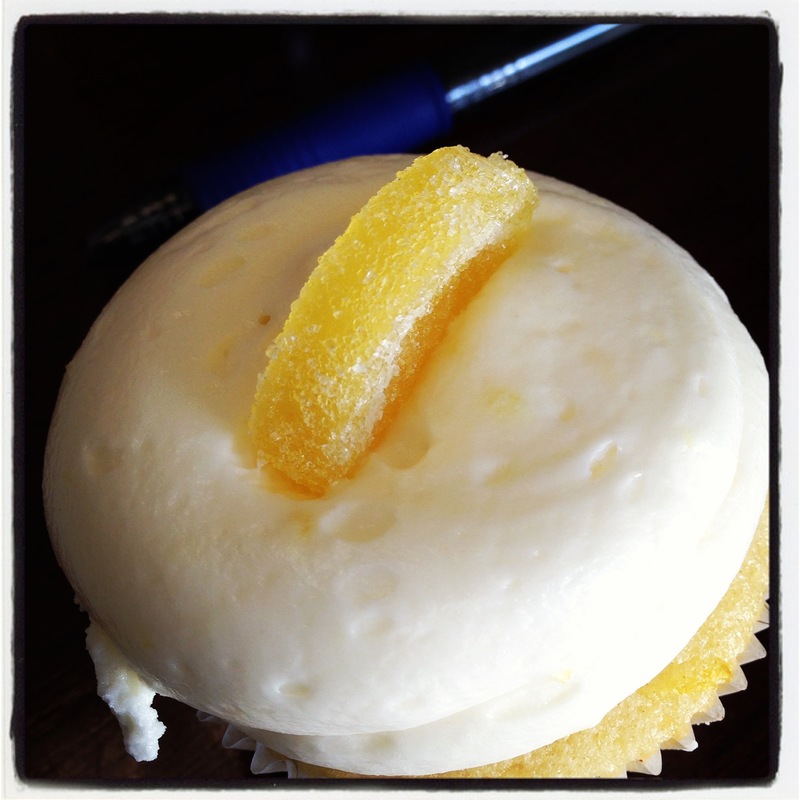 Lemon Georgetown cupcake part of the dozen Addy gave me – sooo delicious! 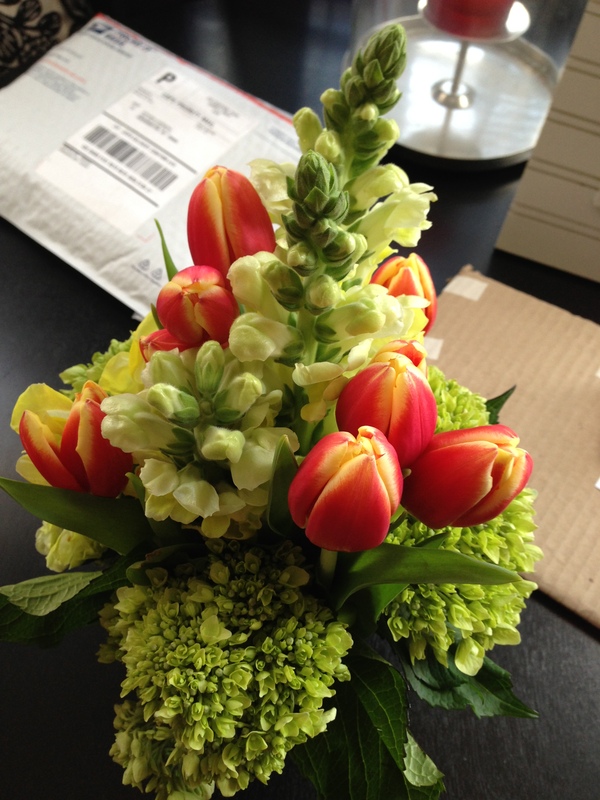 Flowers from my co-worker/friend – they lived all week on my desk! 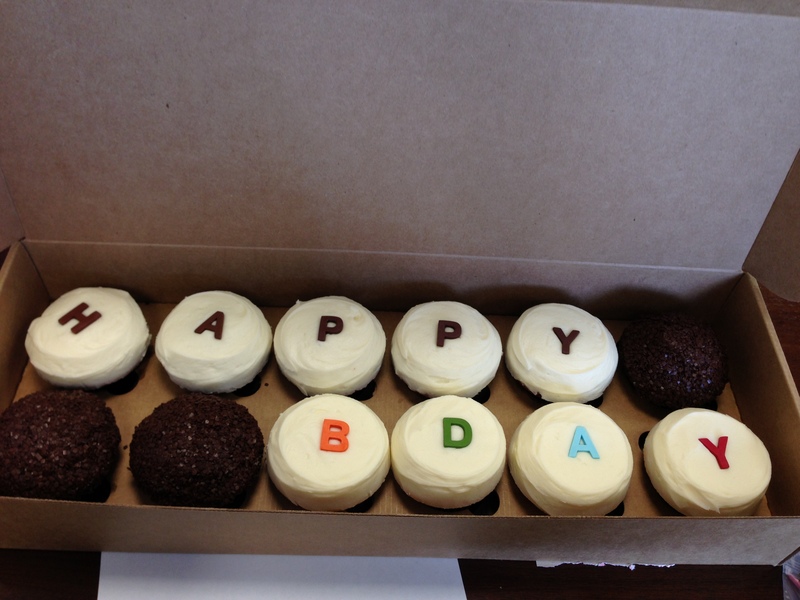 Surprise cupcakes delivery from Sprinkles courtesy of Amanda! The next morning a few of us had lunch at a Mexican restaurant and quickly stopped by the outlets for a little shopping before hitting the road back to D.C. Naturally, I rented a dress for the occasion and it was another winner. 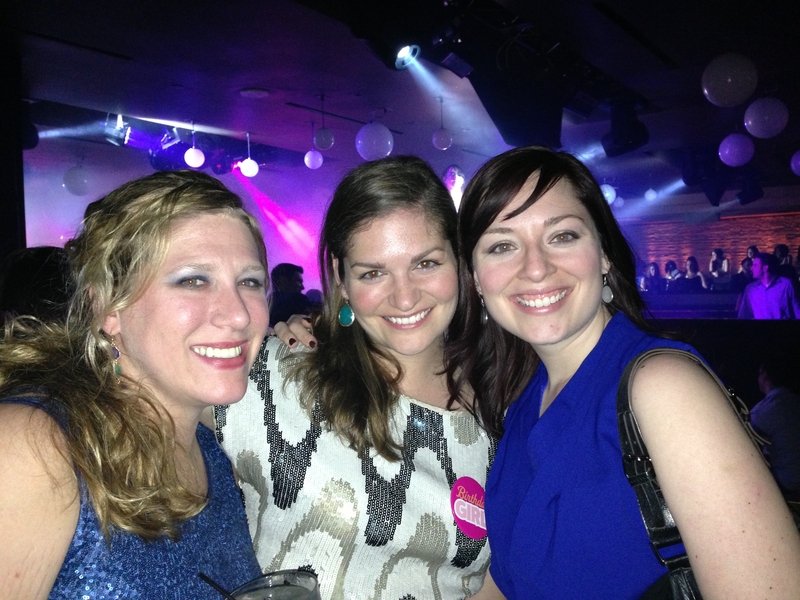 I chose the Trina Turk Zig Zag dress and I loved it – super comfortable! Overall it was truly a wonderful birthday and a great trip. Thank you to everyone who made it so wonderful!! Who loves carbs? We do! 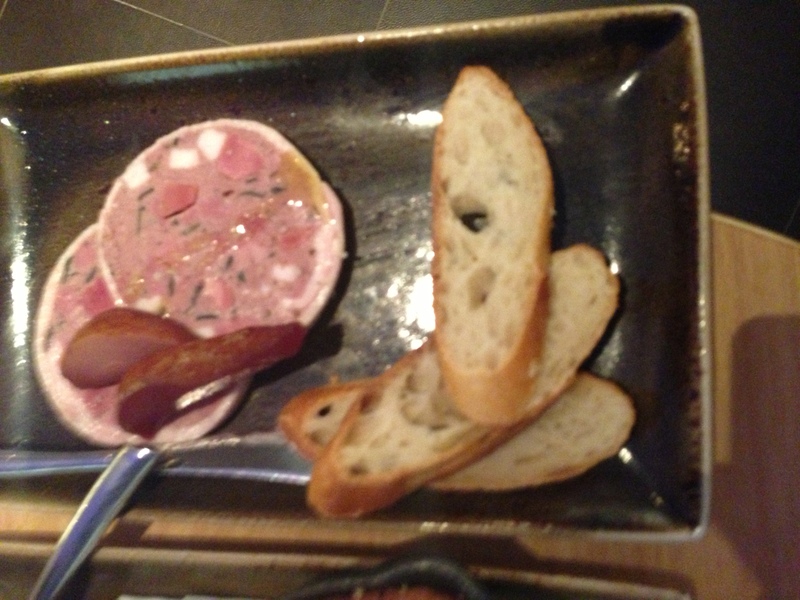 Duck pate…it had a much fancier name! 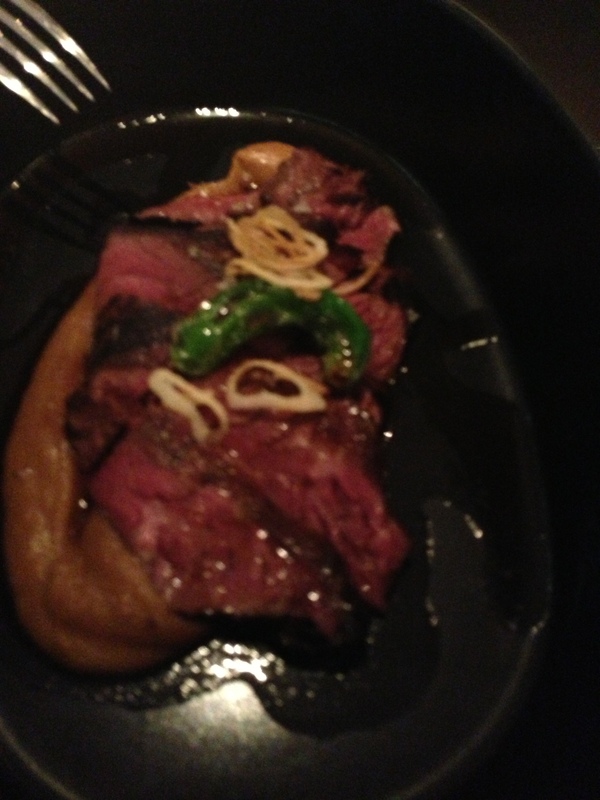 Hanging steak…Ok, it was totally called something else but man was it tender and delicious! 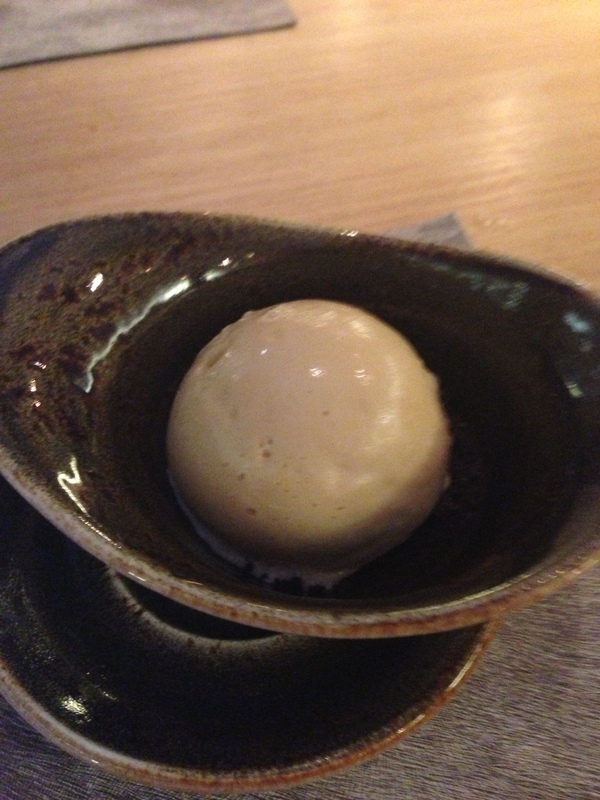 Salted caramel ice cream – my life is now complete. 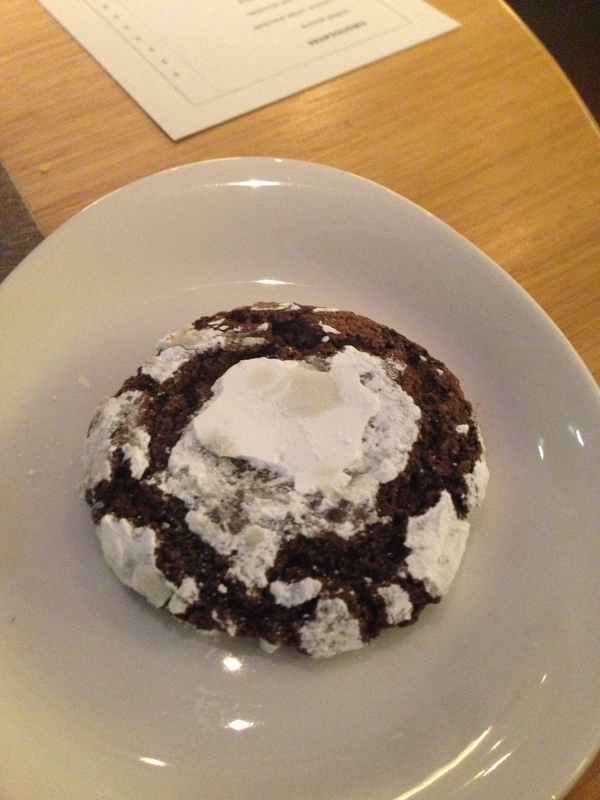 The best chocolate cookie I’ve had in my life. Remember that time forever ago that we went to Range and said we’d tell you about it. Whoops. Well it was clearly delicious! Check out Range here. 2. Earlier this week I peeled my Shellac manicure off in the shower and it was surprisingly easy. Is that good news or bad news? 4. 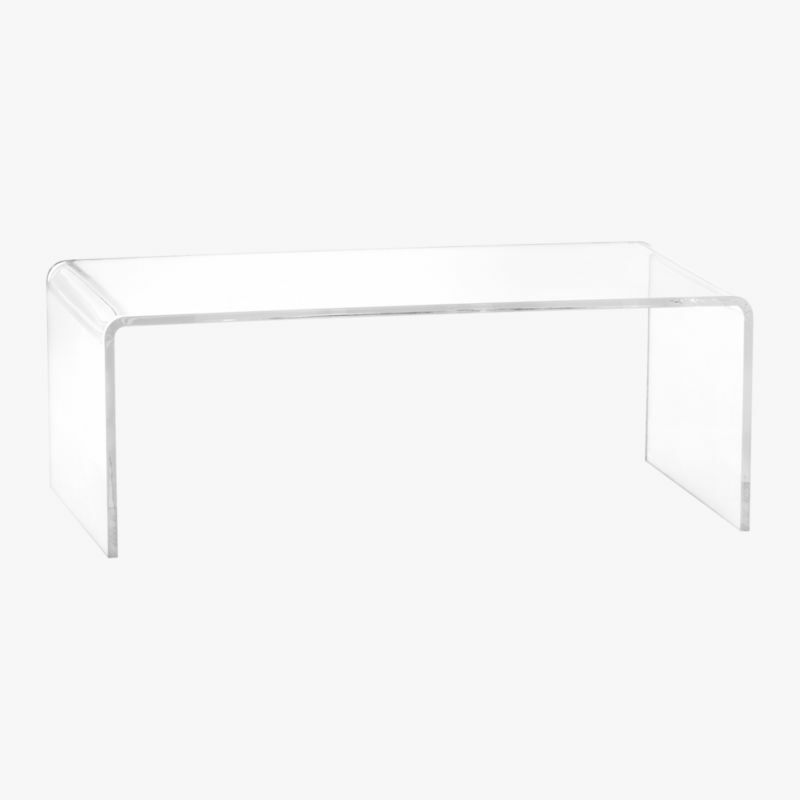 I’m clearly taking this turning 30 thing seriously because the first thing I bought for my birthday was a new coffee table. Go me. 5. While my 2013 fitness goals have changed a bit, I finally signed up for my first (and maybe only?) triathlon of the year. 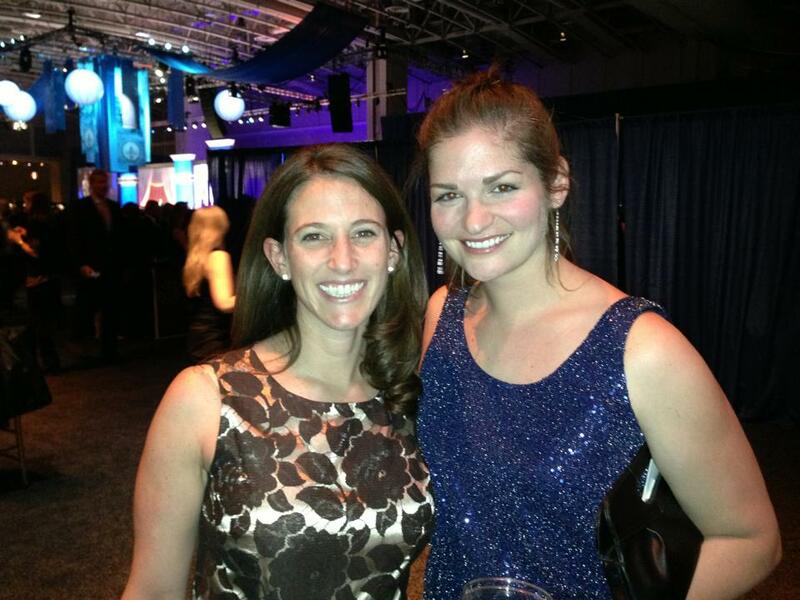 I’m doing the Iron Girl Athleta Sandy Hook Triathlon on Sunday, September 8th with my soon-to-be sister-in-law. She did it the past two years with my sister (I think that’s right) and I’m so excited to be participating this year. The race is all women which is another fun bonus and I’m excited that my family will be able to come out and cheer me on. I will have to start training in July (I’m planning on an 8 week training plan) so it will be H-O-T but with no other races planned until then, I think I’ll be raring to go. 6. Speaking of changing fitness goals, I am not running the Cherry Blossom 10 Miler next weekend. While I absolutely loved the race last year, my work schedule completely threw off my training and when Katie and I ran 3.4 miles earlier this week it was really, really tough. I know that I am no longer in the running shape I need to be in to have a good race and when an opportunity came up for a trip with a friend, I just had to go for it. 7. My recent obsession with hard cider continues. I recommend Crispin Original, Angry Orchard or Angry Orchard Pear. Yum. 8. I didn’t end up making a Peep diorama for the Washington Post contest this year but I have to say, I’m not very impressed with the entries and winners this year. I don’t know what it is but I’m just not into it. Check them out here. Complete two sprint triathlons – signed up for the Iron Girl Athleta Triathlon on 9/8/13…might be the only one this year or maybe not! 11. I’m ready to get back into strength training and doing whatever work I want instead of having to follow a travel plan. I think taking a break from races until I start triathlon training will be a good break for me. Back when I had that really crappy run, I think it was a sign that I was burnt out and that it was time to change things up. 12. So, without running-focused workouts ahead, what does my weekend SIDI look like? 13. I feel like I am forgetting things I wanted to share but this post is getting pretty long. I have been a very absent blogger lately, but I’m breaking out today to say happiest of birthdays to my dear friend and fellow blogger – STEPHANIE!!! Wishing you all the best on your very special day!!!! 1. To say I’ve fallen off the training plan would be putting it lightly. With the exception of running a total of 14 miles last weekend, I haven’t seen the gym or hit the pavement in what feels like forever. The Cherry Blossom race is 3 weeks away and I know it’s going to be a challenge. 2. 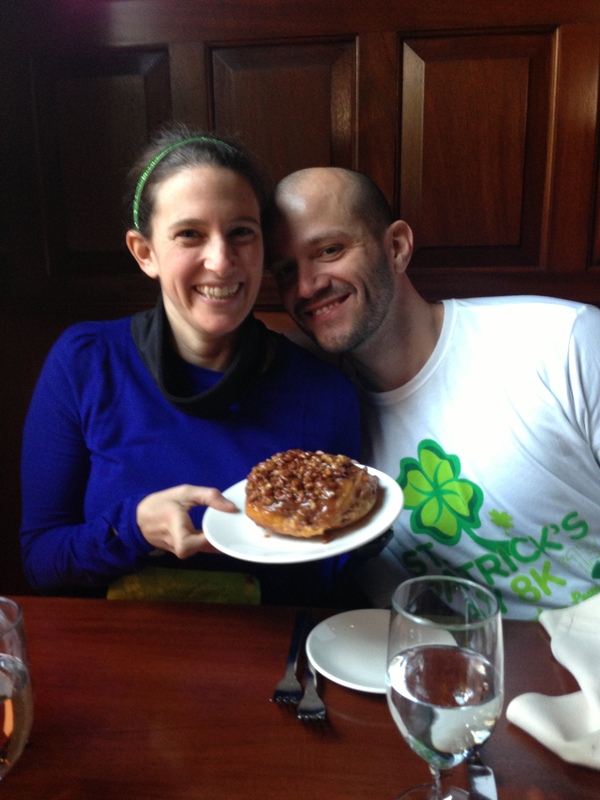 As Addy mentioned, we ran the St. Patty’s Day 8k last weekend and then had some brunch at The Hamilton. 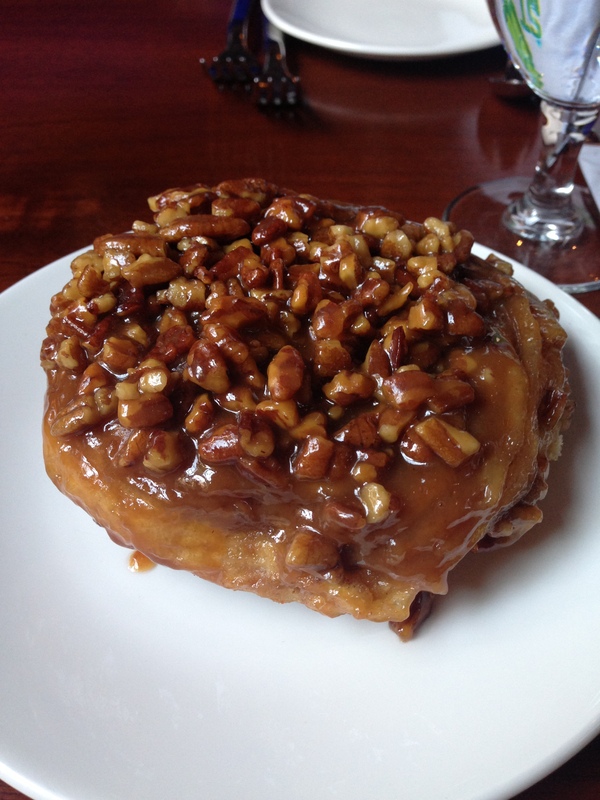 Addy wisely kicked our meal off with a salted caramel pecan cinnamon bun. 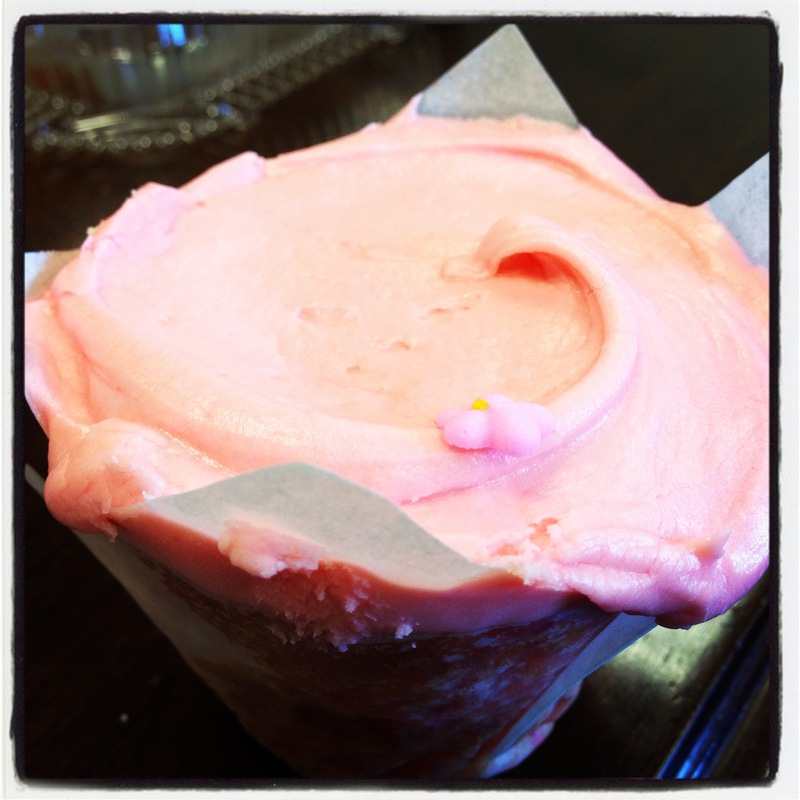 HELLO DELICIOUS! 5. I read this article in the New York Times and then totally obsessed over it for a few days. 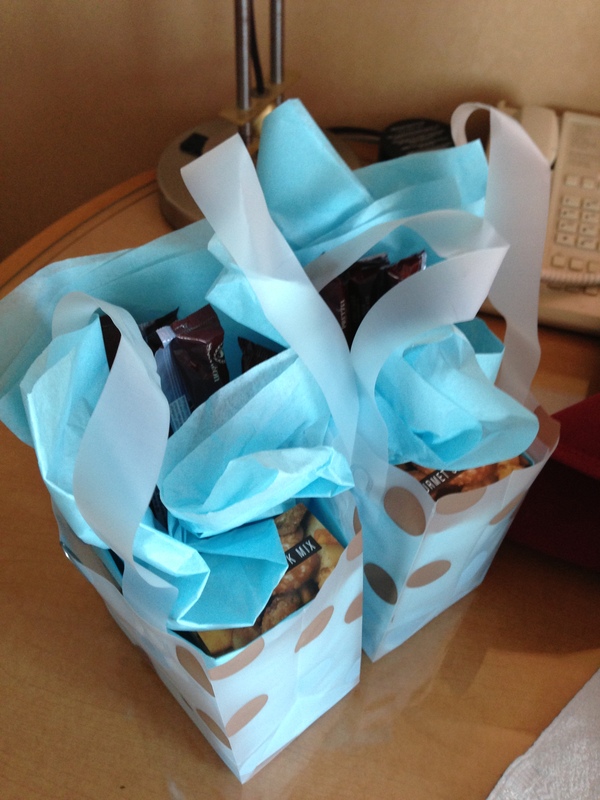 I do not personally have any food allergies but I was totally captivated by the treatment process. It’s a long read but a good one. 6. 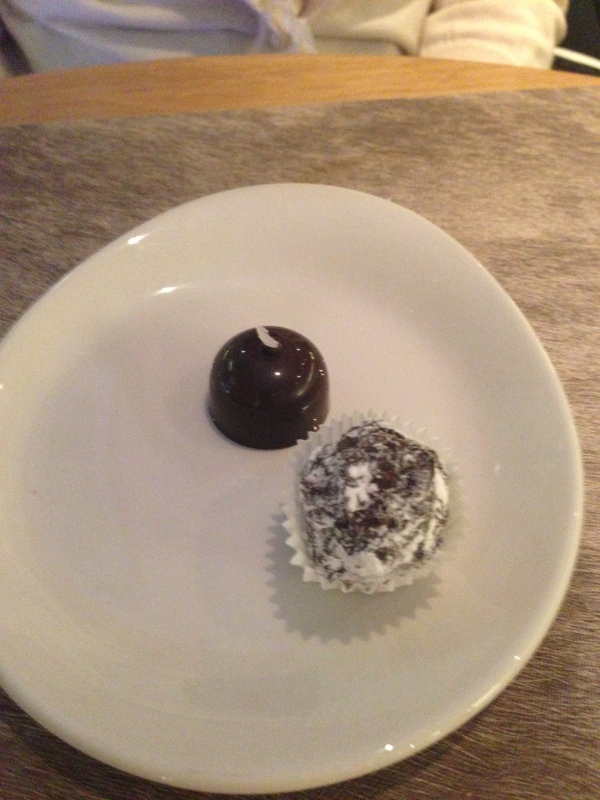 A friend passed this blog post to me about feeling fat. I know we’ve all been there and it really struck a chord. 7. I have Cajun Shrimp Shellac on my nails and it’s making me feel quite glamorous. These are not my nails. I’m a biter and these nails are WAY too long to be mine. 8. I’ve added two new blogs to my Google Reader (RIP) – they are both written by friends and are totally different. Go check out Healthy Assets and be inspired by Alison and then pop over to indulge yourself in the magical world of Dunne & Done. 9. Did you guys see that JMU made it to the big dance this year? To say that I’m excited for my Alma mater is an understatement. If they beat Long Island University – Brooklyn, then they will play my Dad’s Alma mater, the #1 seed in the east, Indiana in round 1. GO DUKES!!! 10. 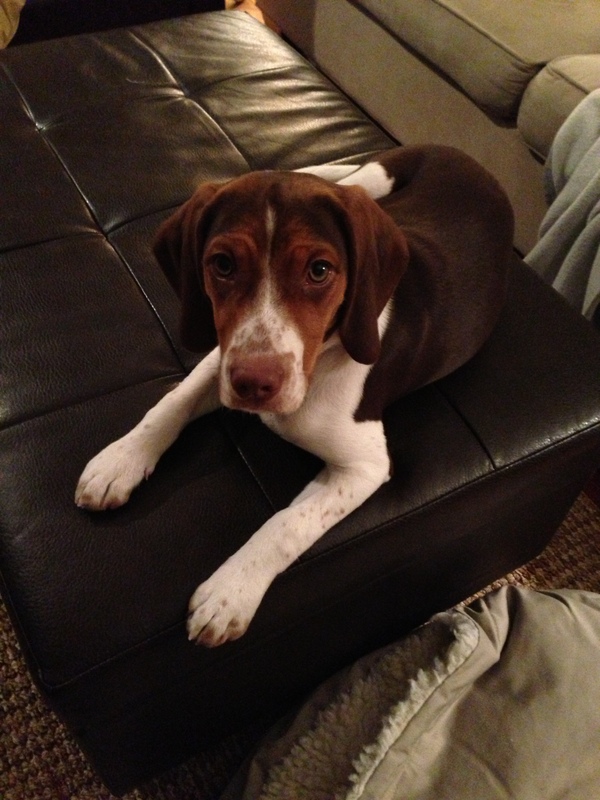 Charlie continues to grow and continues to be the cutest dog ever. 11. My sister is getting married in 5 weeks! I need to take my bridesmaid dress in to be altered THIS week and get to work on my toast. 12. 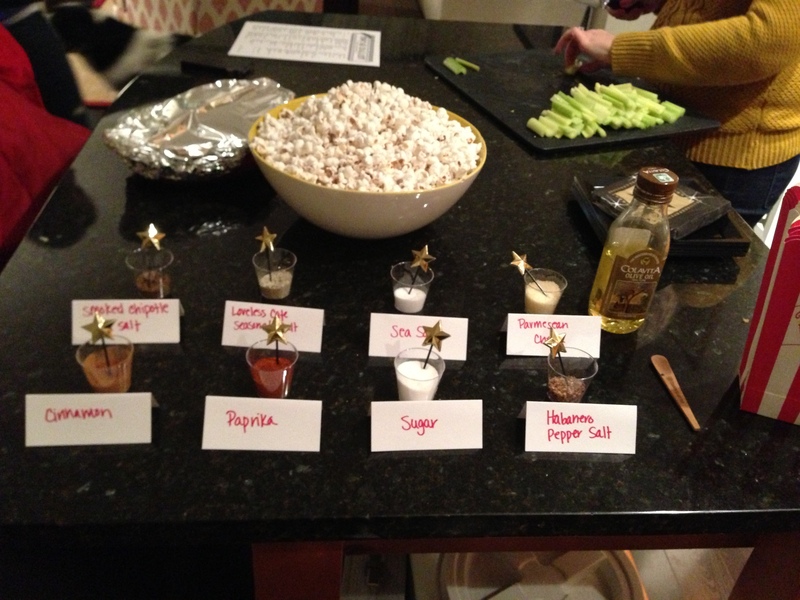 When I attended an Oscar party, my friend put out a popcorn bar and it was super cute and delicious and just such a great party idea. This photo does not do it justice but I just loved it. 13. I turn 30 in 5 days. 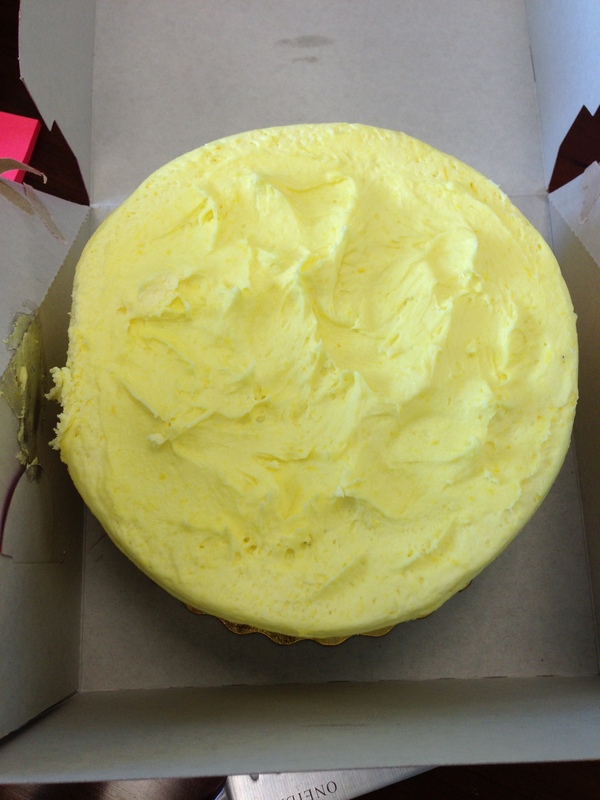 Has everyone seen this list from the Washington Post – the 40 dishes Washingtonians should not live without in 2013?! I agree with most everything on there and it also reminds me that I need to go to Bourbon Steak for their duck fat french fries! Some of my other faves – The Hottie from Comet Pizza, Pumpkin Curry at Thai X-ing and the Palena Burger. I have my Pro Compression calf sleeves on and when I walked across to get lunch I remarked on how comfortable my I was. Both with the warmth and the compression they provide. I like the sleeves because then I can wear flats to work instead of boots. You can get 40% off socks and sleeves with the code MARCH – I’m trying to decide what other color sleeve I want to order today. I got in a 45 minute tempo run this morning among some snow flurries – if nothing else D.C. has mastered the snow flurry weather! It didn’t start off great and I wasn’t convinced I could keep up a good pace the whole way, but it did get better! 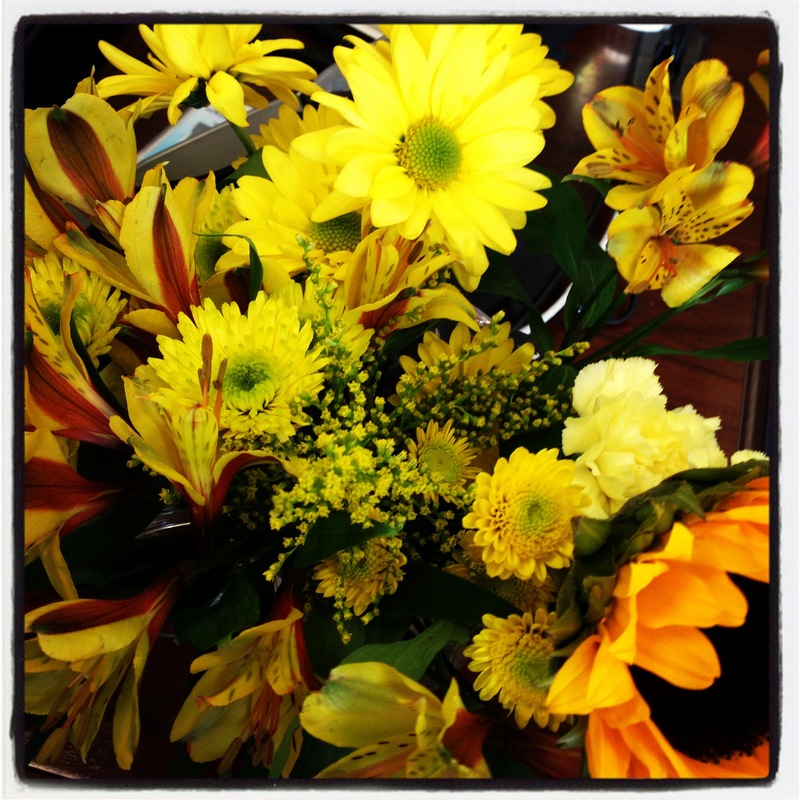 I got an iPhone this week…finally! And I love it! I’m completely hooked. I’m being conservative about what apps I have downloaded so far, but must admit the Emoji Icon app has been an endless source of entertainment. 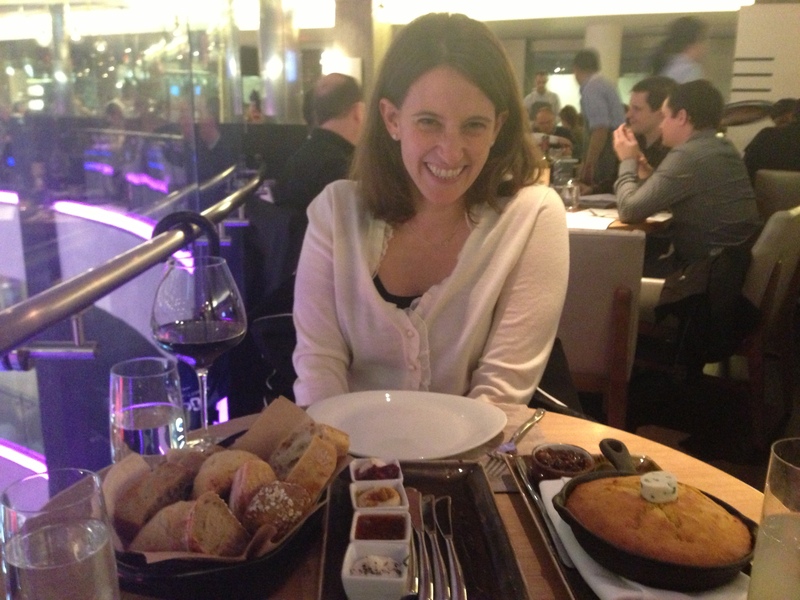 TK was here for work this week and got snowed in on Wednesday – so we got to keep her around for 2 extra days! It was such a treat to be able to hang out. I missed seeing her sweet baby Josie, but hopefully we’ll see them all again soon! 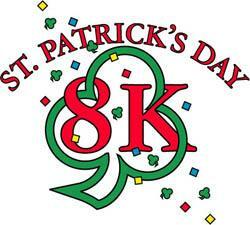 This weekend is the St. Patty’s Day 8k in D.C. The green sparkle skirt is going to make another appearance this weekend! I haven’t run since I had a crappy 7.5 mile run last weekend and declared my hatred for running and may have even mentioned selling my race bibs on Craigslist. Yea, I was in a bad mood. Well, enough of the pity party. It’s time to get back on the horse. The weather is supposed to be quite wintry this week so some of these runs might have to be on the treadmill and broken up a bit but I’m determined to get them done. And with another busy work week ahead (is it recess yet?! ), these will have to be some early a.m. workouts. During my grocery shopping for the week, I purchased a BlenderBottle and a variety of protein shakes to try out this week. I’m hoping they will be good for some quick breakfasts and some filling afternoon snacks. I hope everyone had a good weekend – I’m off to pack my lunch and snacks and get myself ready for Monday. 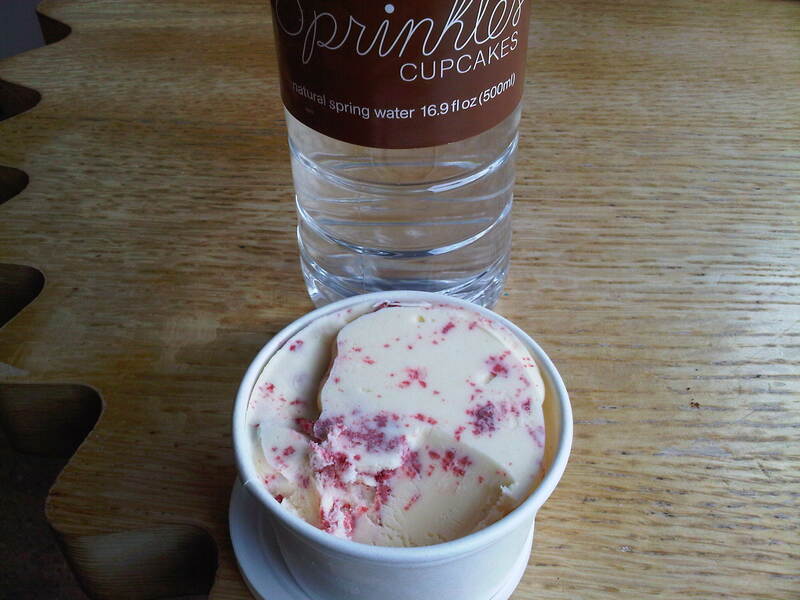 After a chilly 9 miles this morning, including a rough head wind for the last 1.5 miles, I still opted to go to Sprinkles for their red velvet ice cream giveaway. They were giving away the ice cream to celebrate their anniversary. I felt like I needed to purchase something to get the ice cream even though they likely would have handed it over regardless. 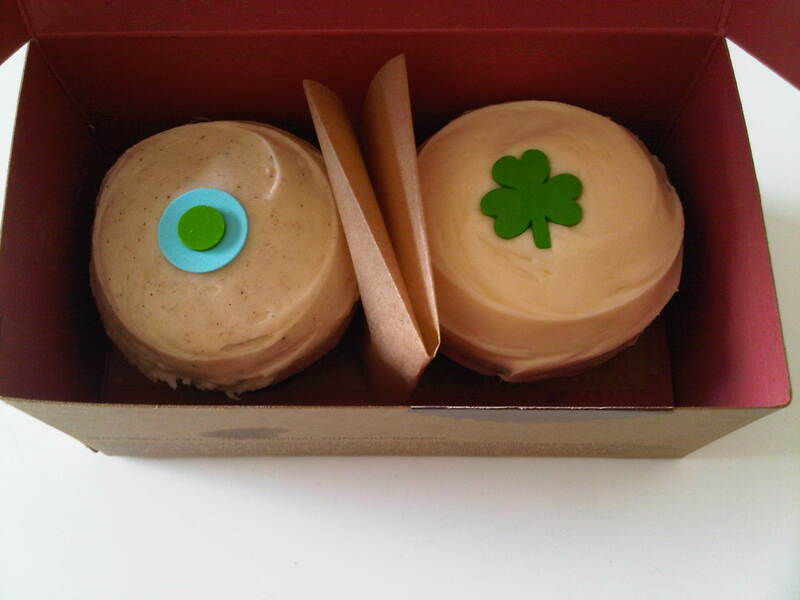 I got two cupcakes – a chai cupcake and an Irish cupcake. I sat down inside and devoured my sample cup across from another woman who was clearly there for the free goods too! 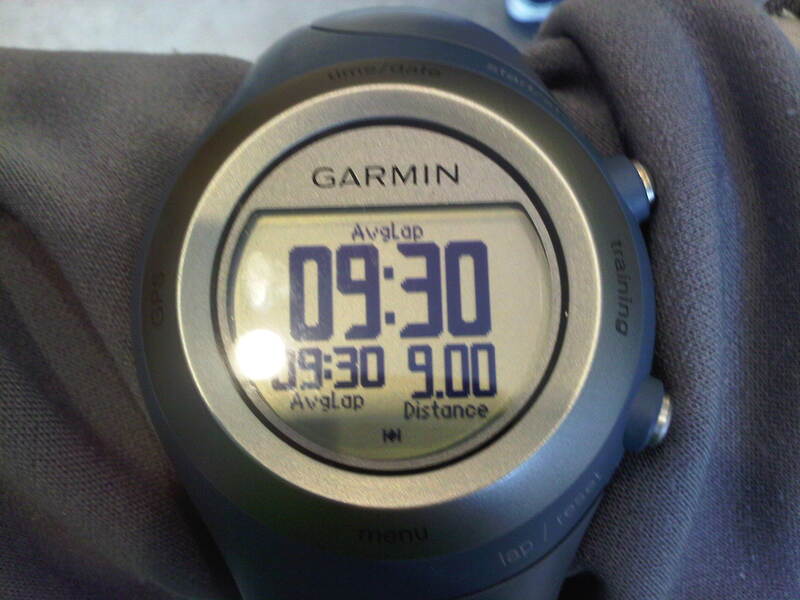 The highlight of the day was probably the ice cream, but my run was pretty good too!